Pen Y Fan is the highest peak in south Wales and, luckily for me, I grew up looking at it from my home. The view of it on the horizon has been a resounding memory from my childhood, burned into my mind. Every time I return to visit my parents, I know that I’m home as soon as I round that bend in the road and there it is in the distance. The Brecon Beacons are not the wildest place in the country by a long way. They’re a combination of rounded mountains and sharp cliffs; they’re beautiful formations made out of red sandstone. As somebody who loves wild places, this doesn’t correlate with my usual kind of place to go walking. Nonetheless, let nobody forget that, although not the wildest, they can be a very brutal place. To give you some kind of perspective on this, the SAS use the Beacons for training and some of those men have died out there. Yet, I still love to go walking up there. 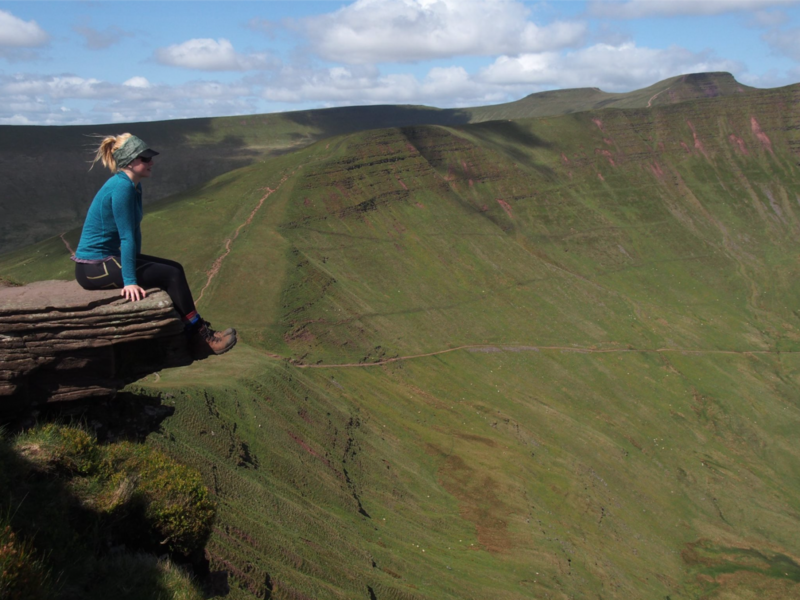 I love the content feeling of sitting with my legs swinging over the summit edge of Pen Y Fan as I peer out onto the world, contemplating life. Walking up there alone has never bothered me but I do like to walk in a group, too, and Pen Y Fan is one of my favourite places to take friends when they come to visit. I want to share that beauty and peace that I find up there. This last weekend was one such event. Snow was anticipated, as was a good day. However, only one of these things materialised; and that was the snow. There was lots of it. Having walked most of the routes up Pen Y Fan, I decided that given the conditions we were safest going up from Storey Arms. So, off we went. Driving towards Pen Y Fan, we realised that hopes of a clear summit were slim and we pulled into a slushy churned-up car park. It was 8:15AM and the car park was full, thanks to a very popular trail race called the Fan Dance. This is a hard-core 14 mile + (depending on the category that you choose) over the Brecon Beacons. It’s run in both winter and summer. I’ve done the Clean Fatigue category in summer – all I can say is you’re pretty tough if you take it on in winter. Having completely forgotten that it was on I had thought that an 8:30AM start would mean we would miss the crowds who were seeking an easy snowy walk. I was wrong. We squeezed into the last possible space in the car park before piling out of the car, keen to get going and away from the throngs of people, and grabbed our bags. Snow whirled around us before landing in the slushy puddle that was now the car park. Runners kitted up against the cold were rushing over to Storey Arms for their start time. There are two paths that go up from Storey Arms. One goes up from the hotel/activity centre itself and the other goes from the car park just down the road. They join together just below Corn Du before taking the same path to Pen Y Fan. Slush had turned the start of path into a near non-negotiable nightmare and we ended up going off the path in an attempt to gain some grip underfoot. But before long the snow became compacted underfoot and, although the distinctive path had nearly disappeared, we could now walk with relative ease. Visibility closed in to about 10ft around us, meaning we now needed to stay together. Although not a big area, it is certainly big enough to become parted from your companions and so every 50 metres or so we all checked that our little group was all still together. As we climbed higher we could hear a loud whirring sound, ominous through the blank whiteness that surrounded around us. I knew that sound. That sound meant we were coming face to face with some strong winds. It also meant that we must have been near the top of the main mountain back, which acted as a funnel for the wind. Pen Y Fan was further over but by reaching this point, just below Corn Du, we had completed most of the climbing. Appearing over the brow of the hill the whirring sound now roared in our ears, catching in our hoods, but was now accompanied by the strong force of the wind, droving us backwards a few steps. 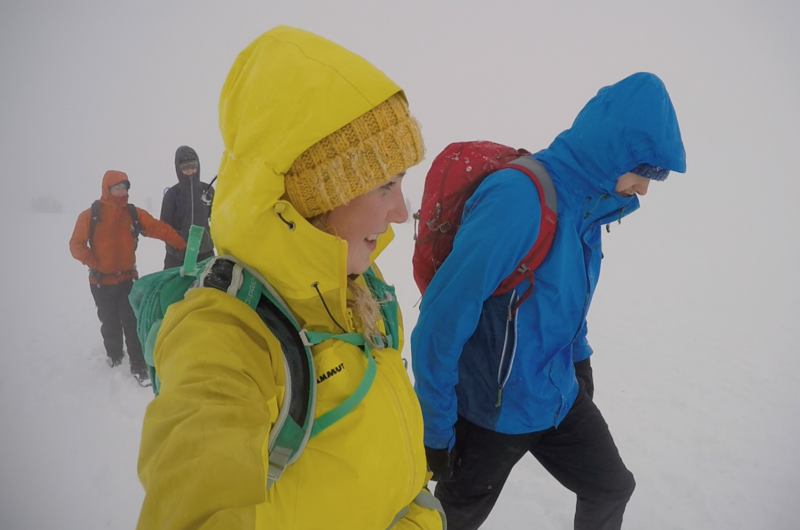 Pausing to brace ourselves against the weather, we gathered our wits and decided whether or not to continue onwards to the summit. I knew it wasn’t more than 10 minutes away but we were now in a complete white out. Runners charged past us, either 100% sure of the way or completely ignorant of the drop to the right of the path. Indeed, one such runner lost his footing, floundering in the snow, and under the heavy weight of his Bergan toppled over the edge. The snow, cushioning his fall, was also deep enough that he didn’t go sliding off down the slope. Upon rushing to help this runner up and back onto what we thought was the path we noticed a series of luminous orange flags marking the way for the race, and so we decided to march onwards. Sticking to a single file line we shuffled our way between flags over the snow-laden pathway and onto the summit. The pathways on Pen Y Fan are very distinct and are cared for by the National Trust so even under snow they’re quite easy to follow*. I’ve been up on Pen Y Fan whenthe weather has been glorious and seen it rammed with people – and this isn’t a small summit either. 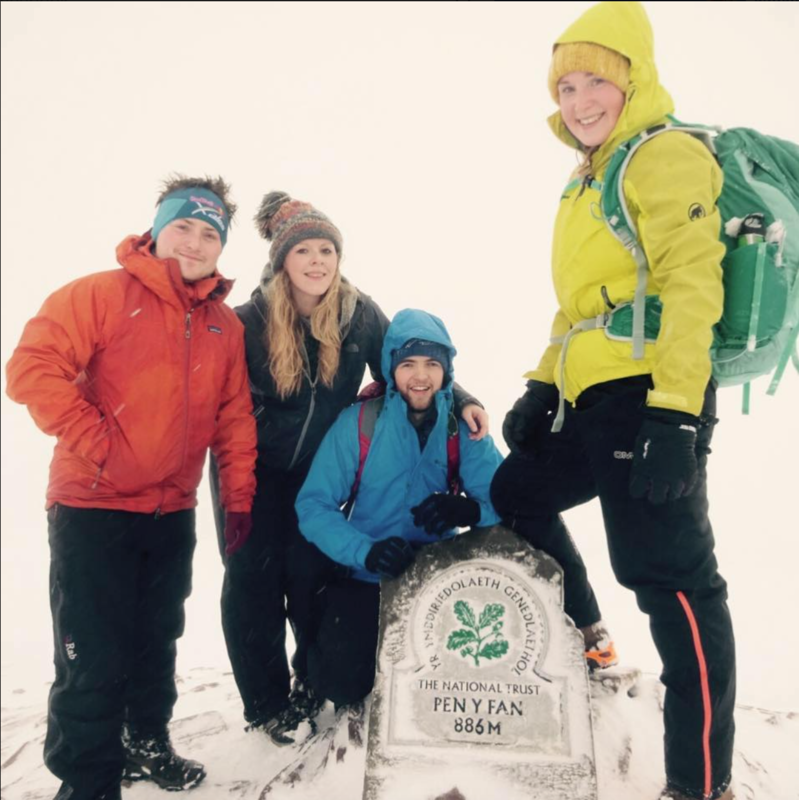 Despite the blizzard like weather, it was similarly packed and we still had to queue for the obligatory summit-selfie with the plaque. Selfie completed we headed back down, elated to have made the top despite the conditions. Pausing before the drop down to the car park, we started to lean into the wind and see how much of our weight it could take. Turns out, quite a lot. 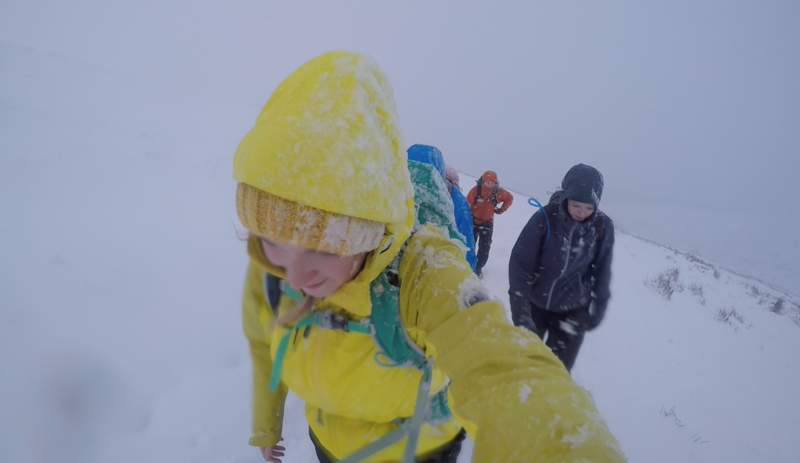 Powering through it ripped at our waterproofs, throwing icy shards in our face. It’s rare you actually see the wind but it was rushing through at such a pace, carrying snow and ice along with it, it looked like we were wading through a fast flowing river. 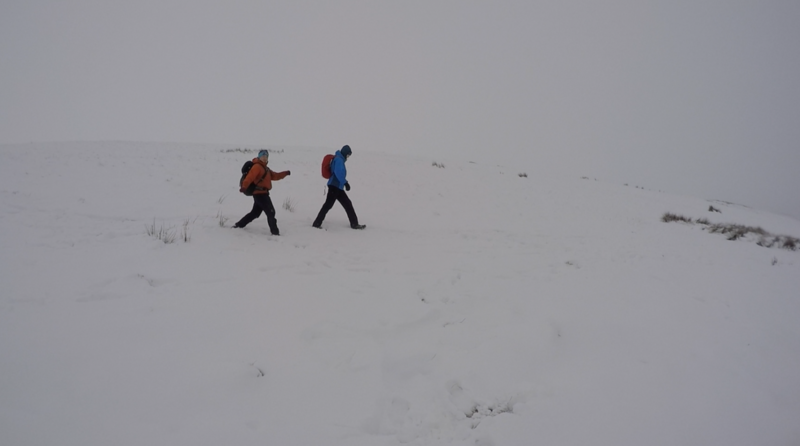 The trip down was fast with the snow underfoot and we were back at the car park in no time. If we’d thought that it had been full when we left there were now cars lining the verges for up to a kilometre around the start of the walk. Tip: if you find yourself in a position where the car park is full, what ever you do, park fully on the verge. Don’t leave wheels on the road. Apart from being dangerous, as you’re obstructing a fast road, you’re likely to get a ticket for it. 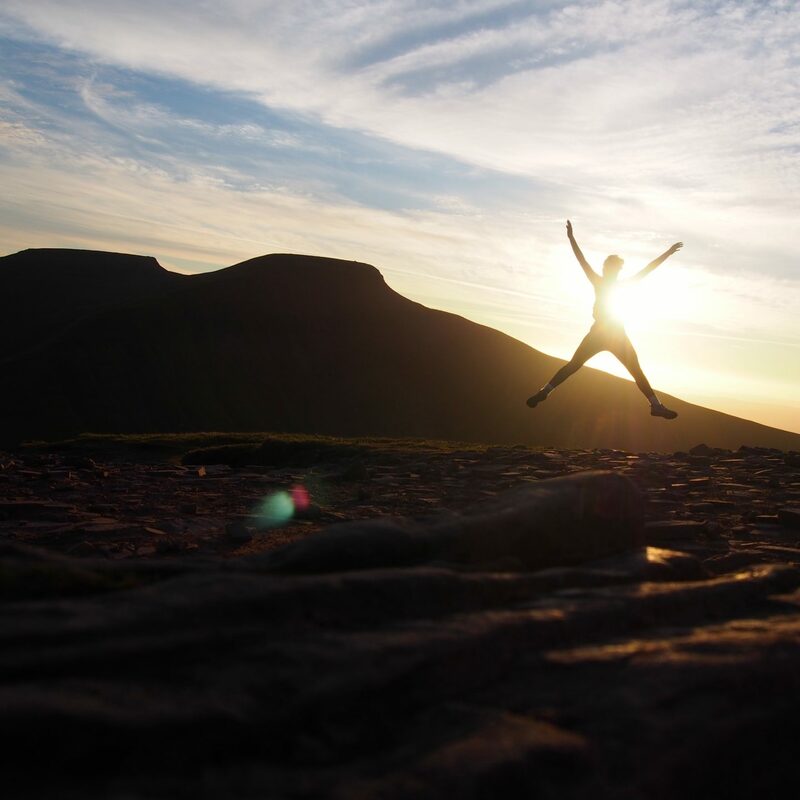 If you want to get the best of the Beacons you will need to go early. Go for sunrise or first light. It’s worth it. Alternatively, go in the evening when everybody is inside eating dinner. 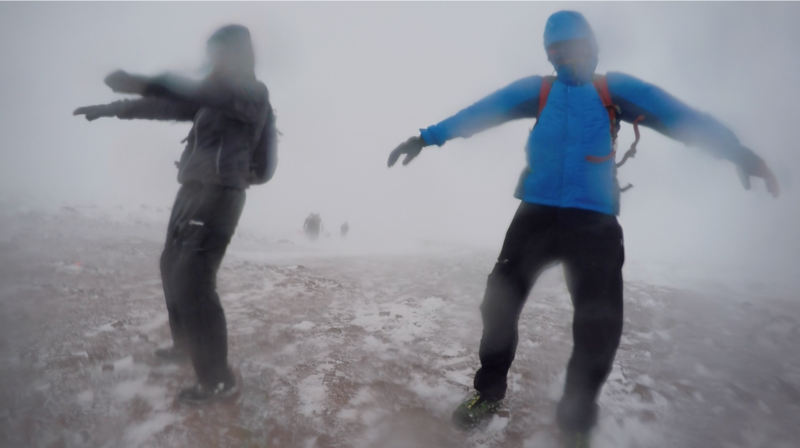 The paths from Storey Arms are both easy and quick –perfect if you want a good walk but are pushed on time – but they’re generally not the most exciting routes that Pen Y Fan has to offer (unless, like us, you walk it in a blizzard). There are many other ways up and I will cover those here in the next few months, so keep an eye out. 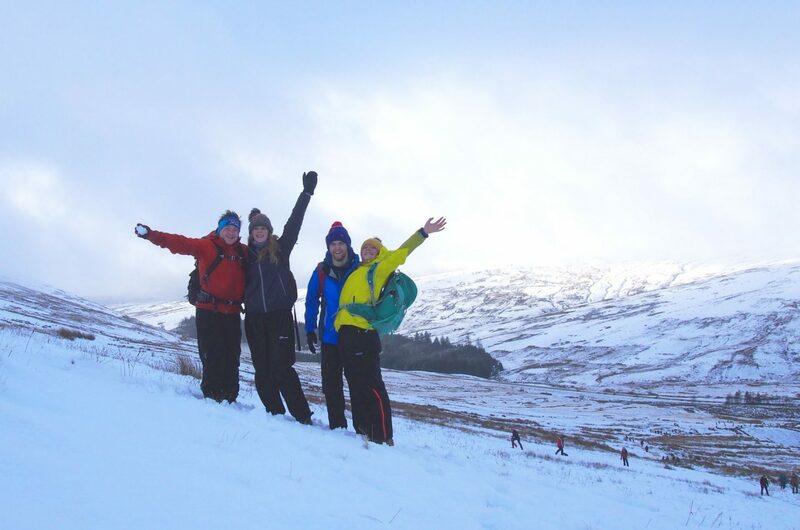 Make sure you kit up appropriately and take warm layers, waterproofs, snacks and water. *you should not go up there in confidence you’ll see the path at all times. You will need to know how to navigate and carry map and compass. This is the second instalment of my new series Explore More that I am putting together for documenting new things, going to a new place and generally showing the awesomeness of getting outdoors. Adventure is around every corner – you just need to look for it. It’s not necessary to go traveling to far flung countries; you can experience fun in the outdoors here in the UK. So which route did you follow? We went up the main tourist track which goes up from the carpark just along from Storey Arms.